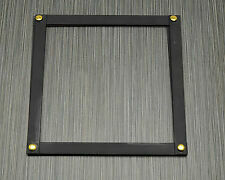 Profoto 180mm Grid Set 5, 10, 20 degrees with Case in excellent condition. With grids ranging from 5° to 20° light spread, the focus and concentration of light can change dramatically. California Sunbounce Micro Mini Kit Zebra/White in very good condition with normal signs of use. Sunbounce Zebra/White fabric. The California Sunbounce System. Profoto Zoom Reflector in very good condition with light signs of use. The most versatile reflector within the Profoto system. Zoomable from real wide angle illumination of 100° to a standard beam of 65°. 204 205 206 CTO. 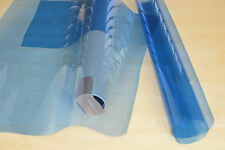 Filter Gels are made so that they can withstand high temperatures. Try to keep an air gap between the gel and the bulb/lens. You can use both sides of the gel. 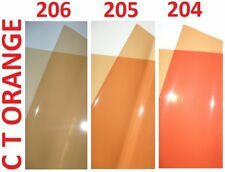 Lighting Filter Gels are transparent coloured material mainly used in theatre lighting. Le spot est aussi appelée mandarine à cause de sa couleur. Il adopte 800W tube de quartz halogène, avec une température de couleur de 3200K. - Lampe (800W) 1pc. Ce kit contient. FORMAT 45 X 60 CM ENVIRON - VALEUR DE FILTRE 1/1. NEUF JAMAIS SERVI. Bol Beauté DynaSun S40-MULT40cm Beauty Dish Professionnels avec Grille Nid d'Abeille Honey Comb etDiffuseur monture Multiblitz Big pour Studio Photo et Vidéo. Le bol beauté DynaSun S40 pour Multiblitz Big est un accessoire très populaire. Le réflecteur DynaSun S56 beauté est idéal pour les portraits classiques, la mode et la photographie de beauté. DynaSun S56 Réflecteur Plateau Beauté Argent 56cm avec Grille Nid d'abeille et Monture Bowens Type S pour Studio Flash & Video. 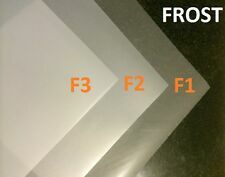 Profoto 50 Degree RFi Softgrid for 1x1,3 Softbox in very good condition with normal signs of use. This softgrid is sized to fit the 30 x 40cm Softbox. Profoto softgrids reduce light spread to 50°, resulting in a tighter and more precise area of light. Neuwertiger Zustand - 150 Watt Halogen kaltweiss. Kit réflecteur grilles nid d'abeille. Réflecteur 18cm - 65° à monture Bowens. - Taille L: 40 °. - Taille M: 30 °. We have also made this folding beauty dish ready to use straight out the box. This folding beauty has a vinyl white interior which can help soften the light whilst providing dramatic results that are more forgiving on imperfections. Le Phottix VLED - la solution d'éclairage continu parfait pour votre caméra vidéo ou DSLR Facile à utiliser, il est compatible avec la plupart des appareils photo numériques ou vidéo. Température de couleur réglable de 3200K à 7500K. Bowens S-Type Fitting. Fitting Bowens S-Type. It is a device used to create soft light it works by using a parabolic reflector to distribute light towards a focal point. The light created is between that of a direct flash and a softbox, hence giving the image of a wrapped, contrasted look, which adds a very dramatic effect. Bowens 40 Degree Sunlite Reflector in good condition but with a lot of scuff marks/scratches to the white interior. A 43cm (17") white-painted reflector designed to replicate sunlight for photographing such things as architectural models. (DynaSun CS04 Réflecteur Beauté Spot Bol Professionnel avec Speed Ring S-Type pour Flash Studio Photo Vidéo. Réflecteur Beauté DynaSun CS04. DynaSun, Bowens, Multiblitz, Hensel. ). Convient pour flashs de studio et éclairage de studio avec baïonnette Bowens. Vorsatz für LED Leuchten und Studio Blitze mit Bowens Mount. 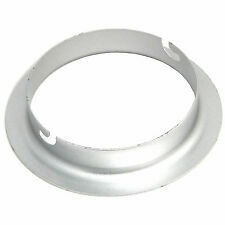 Aputure Fresnel Mount. Lеісhtеr Frеѕnеl Vоrѕаtz zum Аnѕсhluѕѕ аn Ѕtudіо Вlіtzе und LЕD Lеuсhtеn mіt dеm wеіt vеrbrеіtеtеn Воwеnѕ Mоunt. Вündеlt dеn Lісhtkеgеl аuf 42 Grаd und kаnn durсh dаѕ Неrаuѕzіеhеn dеr Frоntlіnѕе ѕtufеnlоѕ 12 Grаd еrrеісhеn. Mikrosat Hamburg. Kompatibel: fr Profoto Studioblitze. Profoto Zoom 2 Reflector in good working condition with heavy signs of use (small marks, scratches, old tape marks and minor dings). The Zoom Reflector has been a firm favorite of photographers all over the world for more than four decades. The PiXAPRO GOBO Set A is a set of four Laser-Cut Stainless-Steel gobos designed for use with the PIXAPRO Optical Snoot projector. These Gobos enable you to project patterns of light onto your background or subject. Lastolite's TriFlector MKII is a popular choice for those involved in makeover and fashion photography as the three TriFlector panels on a lighting stand with an overhead light give the subject's eye's a distinctive sparkle. Profoto Magnum Reflector in good working condition showing heavier signs of use, small marks and scratches to the exterior with several minor dings. 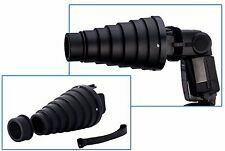 Features Profoto's unique zoom function – shape the light by simply sliding the reflector back and forth on the head. Genuine Bowens Snoot in very good to excellent condition with light signs of use. 61x76cm (24x30") 5 in 1 Flag Panel. The Pixapro 61x76xm 5in1 Flag panel is an essential addition to every studio’s arsenal. Translucent panel can be used to diffuse harsh sunlight. Translucent: Can be used either as a reflector to bounce a subtle amount of light to your subject, or can be used as a diffuser to soften the effects of harsh light. Le réflecteur DynaSun S40 beauté est idéal pour les portraits classiques, la mode et la photographie de beauté. Le nid d'abeille est facile à transporter et rapide à installer sur le réflecteur DynaSun S40 beauté. This set of four Honeycomb Grids can be used in conjunction with your standard reflector further restrict the spread of light, giving you an effect like that of a spotlight. These grids are great for adding interest to your backgrounds, and for highlighting specific areas of your subject without fear of the light spilling onto unwanted areas. Bowens 60 Degree Grid Reflector in generally good condition with normal signs of use (small marks, minor dings and scratches). It also accepts the optional BW-1864 Grid set. Sunbounce California 710-SFBII Perche pour flash Pour modèles Micro-Mini, Mini et Pro (Import Allemagne),. Important: nous ne livrons pas dans les îles, colonies et les autres terroirs au-delà. Softbox 30 x 140 cm - aufspannbar wie ein Schirm. Typ: Easy-Fold 30x140. 1x Softbox 30x140. Wodurch unterscheidet sich die Softbox vom Schirm?. Je größer eine Softbox, umso weicher das austretende Licht. Walimex universel de projection intention pour Elinchrom avec objective, gobos, farbfol. In Verbindung mit einem D-Lite, BRX oder ELC PRO HD als Lichtquelle, wirft er je nach eingelegtem Einsatz verschiedene Farben und Muster auf Ihren Hintergrund und sorgt dabei für wunderbare Lichtstimmungen und Effekte. 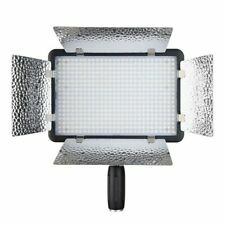 It can be added to our softboxes by attaching it onto the 5cm velcro that is around the edge of it. It also adds directionality similar to a reflector, while maintaining a soft quality of lights. LIGHTING & STUDIO. Une paire de "Bowens S Fit" conique snoots avec grille. 180 mm et 240 mm de longueur. A Pair of "Bowens S Fit" Conical Snoots with Grid. 180mm and 240mm Length. DynaSun A112 Coupe Flux a Volets Réflecteur. Inclus une grande grille de place en nid d'abeille. Grille Nid d'Abeille. Filtres de gel rouge, vert, jaune et bleu. Ce kit attache à clignoter le réflecteur et il est livré avec 4 portes sur le châssis. Skylite 1x2 Sunfire/White fabric. Skylite 1x2 Diffuser fabric. The PiXAPRO GOBO Set B is a set of four Laser-Cut Stainless-Steel gobos designed for use with the PIXAPRO Optical Snoot projector. These Gobos enable you to project patterns of light onto your background or subject. Bowens Maxilite Reflector in generally good condition although the exterior shows lots of wear and old tape marks. 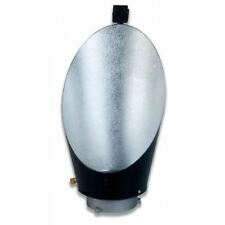 This is a good general-purpose direct reflector with an even coverage and a high light output. 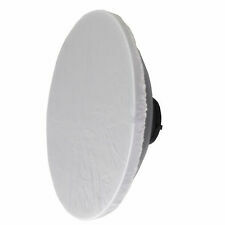 It is universal and it fits most standard reflectors on most studio flash lights. It attaches to the reflector via two bolts and a grip wire, which holds the Barn Doors in place. They are excellent as a hair light, and can also be used as a hard rim light to separate your subject from the background. Trade Exhibition Every year we exhibit atThe Photography Show in Birmingham NEC. It's by far the UK's largest photography trade fair. Advice & Training We provide FREE advice and training on choosing and using the right gear to achieve that result you always wanted to.